A lawmaker from ruling party United Russia says the United Nations Organization should move its headquarters from the United States to a place equidistant from all capitals of UN member-countries. “The reforms are necessary and they should reflect the growing importance of the new centers of power – our partners from the BRICS bloc. This especially applies to India which is now world’s third-largest economy and which will become the country with the world’s largest population in the next seven or eight years,” MP Vyacheslav Nikonov said at the State Duma session on Wednesday. The lawmaker added that other centers of power were Brazil and South African Republic – the largest economies in South America and Africa. Nikonov also insisted that the headquarters of the United Nations should not remain in the United States as “over the past 20 years this country has applied illegal sanctions to more than half of all humanity.” Another example of the US behavior that required urgent action was the recent decision to restrict the rights of Russian parliamentary speakers who needed to visit the New York City to take part in the inter-parliamentary events at the UN, he noted. “Why should it be in New York City? It’s far away and it’s expensive. Why don’t we choose the following criteria instead – determine a point on Planet Earth that would be equidistant from the capitals of all 183 member-countries of the UN,” RIA Novosti quoted the lawmaker as saying. This is not the first time that a Russian politician proposes to move the United Nations offices from NYC. In August, State Duma MP Igor Zotov (Fair Russia) addressed the UN Secretary-General with a letter in which he stated that the UN headquarters must be located in a neutral country and accused the USA of using its position to apply leverage against its political opponents. 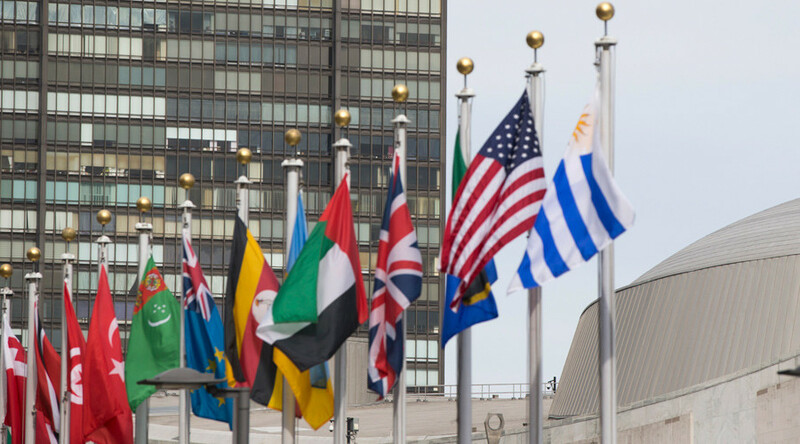 Zotov noted that the current placement of the UN offices allows the United States to manipulate the work of the General Assembly through “selective” access of other nations’ politicians to the working meetings of the body. He also suggested that the decision to move the UN headquarters is made through a broad consensus of representatives of all UN member-countries, various activists and politicians, and legal and political experts. This initiative appeared soon after the scandal in which US authorities issued a delayed and restricted visa to the chair of the Russian upper house, Valentina Matviyenko, who planned to attend an inter-parliamentary conference at UN headquarters and meet UN Secretary-General in New York City. As a result, the entire Russian delegation had to cancel its participation in the event and the meeting between Matviyenko and Ban had to be postponed.